Research on international subcontracting has been policy-oriented and industry-focused. There is a lack of understanding of the phenomenon from strategic management and international business perspectives. This article conceptualizes international subcontracting as a type of relational contract formed by buyers and suppliers from different countries, aiming to facilitate the sourcing of products or components with buyer-specific requirements. It builds a transaction cost model for studying the strategic choice of international subcontracting as an intermediate governance structure, sitting between arm’s length outsourcing arrangement and vertically integrated multinational enterprises (MNEs). 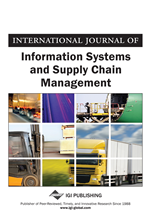 A set of propositions are developed to aid future empirical research and to provide managers with some guidelines for organizing supply chain across borders. The model also allows managers to examine the complex nature of a range of subcontracting relationships and identify the specific mechanisms that can be used to preserve and manage the dyadic principal-subcontractor exchanges.